Since 1843 STANLEY® have been delivering hardworking, innovative and powerful tools that tradespeople can trust and to this day they’re here for one reason: to help Pro’s get the job done better. As the industry evolves and changes, STANLEY® listen to and work with end-users to develop and hone their tools to suit the needs of the modern pro – helping them to excel in a competitive environment. 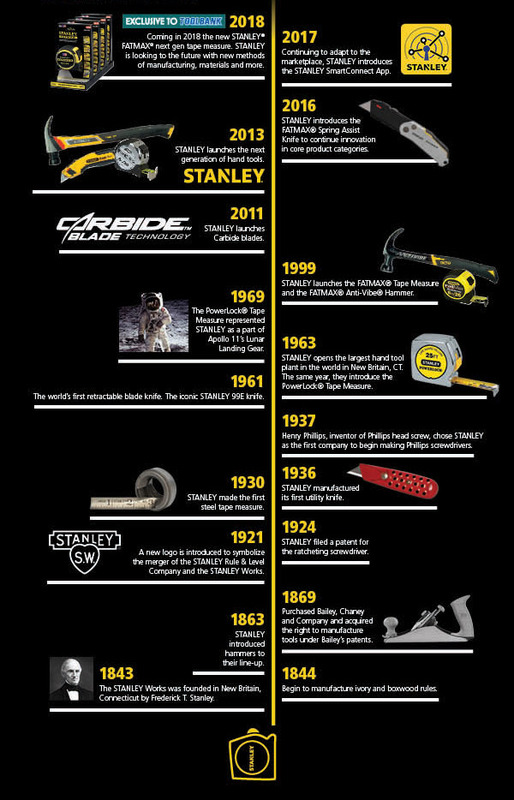 STANLEY® do it side-by-side with the experts who know more about tools than anyone else: tradespeople. Listening to what they need and creating products together. And it’s what makes STANLEY® tools PRO AS STANDARD.